An antivirus is a crucial part of your online protection. It provides a shield against malware attacks, viruses, and other programs that try to harm your computer. Browse here for brand reviews and suggestions. To choose a specific antivirus brand, use the menu. Best Computer Security Software Guide: What is the Best Security Solution for Your Small Business? Even if you’re just running a small business or office from your home, it’s still in your best interest to invest in a quality computer security solution. Any individual or business entity – no matter how small – is vulnerable to security threats. In fact, cyber criminals are more likely to go after smaller businesses instead of big companies since the latter are usually better secured. What is the best computer security software for you? Features such as antimalware and anti-phishing tools are extremely important. Your software should be able to detect threats before they even make it to your system and get rid of them right away. The more advanced security tools can identify suspicious code and flag it. The only problem with some of these programs is that they aren’t intelligent enough to identify truly dangerous files / documents from legitimate ones and end up with a bunch of false flags. Read analysis of detection rates from the leading independent lab organizations that conduct testing on computer security programs. Due to the growing number of malware and similar threats in the digital world, a huge number of small and medium sized organizations fall victims to cyber-attacks, in one form or another. E-threats, unfortunately, are only becoming more intelligent and sophisticated. This is why you absolutely must select the best computer security software so that you can ensure that it is intuitive enough to self-update automatically and not fall for false positives. Another important thing to look for is 24/7 support. You should be able to contact engineers and business security techs via phone, chat, or email, whichever method would be best for you and your team. This support should be from real humans and not bots. Also, when purchasing a license and subscription for a computer security program, don’t forget about your other devices, such as Android phones, iPhones, tablets, etc. If you keep business related information on any of these devices, you’ll want protection for them as well. Fortunately, the big names in the internet security industry offer subscriptions for multiple devices and computers. Having multiple layers of protection against ransomware and other threats is crucial. You’ll want your documents, videos, pictures, financial data, and all other information to be kept protected and secure as possible. When weighing in on whether or not a particular program will be right for your computer(s), read its minimum system requirements. You should be able to run it in the background while working on your other tasks and being productive. The best programs are light on system resources. So, what is the best computer security software for small businesses and home offices? Bitdefender Small Office Security is worth considering. You can purchase a subscription for up to 5, 10, or 20 devices. Bitdefender discounts are sometimes available and worth looking into. Protecting your computer and keeping it free from any “badware” is essential for your security, sensitive information, website/blog, and privacy. If you want to know how to protect your PC, the very first thing you must do is to make sure you are using a quality, award-winning antivirus software. Don’t just settle with any “free antivirus” or “free anti-malware” tools as they are usually not sufficient enough to protect you from literally every threat. Of course, there are things you can do yourself to prevent threats, such as using caution whenever you visit websites, read emails, download new programs, etc. Always be very, very careful when checking your email. Learn how to tell the difference between legitimate emails and phishing attempts. If you want to use torrent programs, be sure and use an internet security suite that comes with a VPN service. Your operating system should always be secured. It is essential that you install security updates as soon as you get a notification that it is time to do so. Only enable fire sharing if it is truly needed, and do so with security features in place (such as passwords). A lot of experts recommend using a third party firewall as well, and these are often available with the best security suites. If you think you might already have a virus, it’s important to get rid of it right away and to learn how to protect your PC further. Hurry and install a free trial version of a quality program. You can always cancel your subscription afterwards if you don’t think the program does a sufficient job. Some of the big names in PC security will offer live tech support to help you track down and eliminate threats. It’s extremely important that you choose software that has an automatic update feature so that your computer will always be protected from the newest threats in real time. You shouldn’t have to manually update a program each and every day. Allow the program to update itself in the background. Speaking of running in the background, part of knowing how to protect your PC is understanding your system’s limits and the amount of resources that can be used in order to run a program smoothly. Unfortunately, some antivirus programs make the computer run slowly. Take a look at the minimum system requirements before deciding if a particular computer protection suite will be able to run on your PC. One of the names you’ve probably seen a lot when learning how to protect your PC is Norton. This is the brand that most people are familiar with when it comes to antivirus programs. There are a variety of products to choose from, and you can select a subscription to protect just your PC only or a subscription that offers protection for multiple devices, including your phone. Norton discounts are usually available if you are concerned about price. We’re always hearing about new cyber threats popping up all the time. It’s not just the traditional antivirus for PC we have to worry about, but all sorts of ransomware, phishing attempts, hacking attempts, infected iPhone and Android apps, and more. The amount of money lost by individuals and businesses due to cyber-crimes is increasing year after year. Your computer might be infected right now. 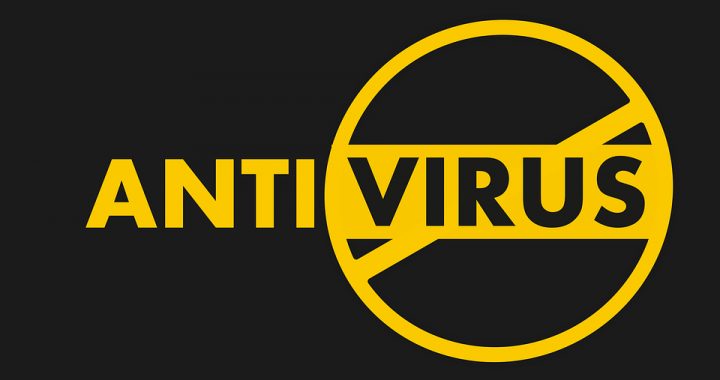 What are some of the signs that a virus is infecting your PC? • It’s running slower than normal. • There are programs that either don’t want to open or start closing unexpectedly. • Show popups even if you have an ad blocker, or aren’t connected to the internet. • A blue screen is displayed with an error code. • The browser(s) do not want to display websites, or keep redirecting to other websites. • There are problems getting the computer to notice an external hard drive or SD card. Once you experiencing these problems, your PC is probably already infected and requires immediate attention from an antivirus program. It’s best that you start installing the best program possible before the infection gets too bad and your system won’t even allow you to install anything. How does antivirus for PC work? This kind of software looks at all of the data on your computer, such as web pages, applications, software, files, etc. traveling over the network to and from the internet. It searches for both known threats and red-flag behaviors in order to remove or block malware as fast as possible. It also helps to protect you from phishing and hacking attempts by issuing you warnings. One of the worst things about a virus is that it can make your computer vulnerable to hackers. They can steal your information, access your files and photos, and even spy on you through your webcam. This is particularly concerning if you have children who use the infected computer. It’s best to choose program that utilizes a large global civilian intelligence network in order to keep up with all of the existing and emerging threats. You should also have advanced security that helps protect your financial and private information whenever you go online. Having the ability to surf the web confidently knowing that are you are protected from all malicious downloads, unsafe links, virus-ridden websites, etc. is extremely important. Out of all of the antivirus for PC programs, you definitely want one that has won awards. Norton by Symantec is a name everyone is familiar with. Don’t wait until a virus strikes – install Norton Antivirus or Norton Security Premium today, and you won’t have to worry about security problems again. PC Protection Software Guide: What Are the Most Important Features to Look For? Which Software is the Best? There are literally thousands upon thousands of malicious programs being detected on a daily basis. While some are mobile app related, a good portion of them are still dangerous to PCs – especially Windows PCs. Both personal computer owners and business owners have to deal with potential threats. In order to do so, it’s essential to choose the best PC protection software money can buy. Free antivirus programs usually aren’t sufficient enough to meet all of today’s threats. How do you know if a program is worth investing in? One of the most important things to consider is the detection rate. Check with independent organizations such as AV-Test and AV-Comparatives and read their analysis on the top internet security programs. It’s ideal to go with a vendor that has at least a 99.6 detection rate for PCs. Layered protection is another important consideration. As threats such as malware continue to become more and more complex, you should no longer rely solely on a real-time guard that only scans files for known threats. Instead, use an antivirus program that incorporates several layers of protection into its system to defend your computer in as comprehensive manner as possible. For instance, it should feature a web protection component that can block connections to suspicious sites and prevent ransomware or malware from even touching your system. While a high detection rate is essential, you do not want PC protection software that has a habit of finding false positives. Flagging a legitimate program as “malicious” and trying to prevent you from accessing it can be annoying. This is another important metric to consider when selecting antivirus software. Make sure you read reviews from users to see if anyone complains of false positives. Many people put focus on usability. While an antivirus suite doesn’t necessarily have to have an attractive UI, it should still be straightforward and simple to use by both casual users and the tech-savvy. Whatever your level of expertise (or lack thereof), you’ll want a program that is comfortable for you to use. If there is anything you don’t understand, you should be provided with good documentation and troubleshooting assistance. If you are confident in your expertise and want more control over PC protection software, you should be provided with that as well. If you have an older computer, try to avoid a program that is poorly optimized and/or comes with tons of extra features that you likely won’t even use, as it will use up too many system resources and cause your system to be slow. Affordability is an important issue for most individuals. Everyone has a right to good PC protection software that doesn’t cost a fortune. One product that offers a lot of value (including high detection rates and good usability) is Kaspersky Antivirus. Promo codes are sometimes available for this, as well as other Kaspersky products. You have a variety of options, which include protection for 3 or 5 PCs for 1, 2, or 3 years. This award-winning software boasts features that put many other security suites to shame. The new 2019 version of Bitdefender Antivirus Software Plus comes with multi-layer ransomware protection, remediation services, VPN and SafePay, optimized performance, and superior antivirus protection against all possible threats on Windows computers. There is also a nice, new user interface, which displays a default security dashboard and a left-side menu that offers access to all of the features. You have a variety of options, such as quick-scan, SafePay, opening the VPN, and so forth. The problem with many antivirus programs is that they use up too many resources, but that’s not the case with any Bitdefender product. It offers advanced security while being light on resources. It won’t bloat your system like a lot of other similarly priced programs will do. With this antivirus software you are guaranteed to get automatic upgrades and continuous protection. It is designed to save users’ time and effort by constantly updating itself and automatically renewing subscriptions. You’ll always get new and improved features, no matter how far into your subscription period you are in. Complete real-time protection is also essential as a PC or smartphoen could become vulnerable to attacks and dangerous files at any second. Bitdefender Antivirus Software 2019 works against all types of e-threats, and your privacy and data are always kept safe. The anti-fraud feature is an advanced filter system that warns you whenever you visit a site that might try to scam you. And then there is the Rescue Mode, which removes the more sophisticated viruses, such as rootkits, before they become a problem. Whenever Bitdefender detects such a treat, it reboots the PC in Rescue Mode to remove the threat and go through a restoration process. The product uses a multi-layered approach to protect you from ransomware. This includes a data-protection layer that keeps all videos, documents, photos, and audio files against any kind of ransomware attack. The tool works in conjunction with the Advanced Threat Defense Module by providing protection to your essential files and documents from encryption by ransomware. There are different ways to install this software. You can put it on your PC with a disc if you have a DVD drive. If not, then download the installer from Bitdefender Central. If you want to put it on a mobile device, make sure the tablet or smartphone meets the system requirements and install the app. The number of devices an PCs you can install Bitdefender Antivirus Software on depends on exactly which product you purchase and the subscription option. The first thing you’ll want to do is look at Bitdefender Antivirus Software discounts and promotional offers that you can use online. Then, head to the website and buy the best subscription to suit your needs. If you haven’t yet done so, check out Bitdefender’s deal on a 30-day free trial. There are literally tons and tons of antivirus programs out there, and not all of them have been consistently good. In fact, most won’t qualify as best antivirus 2018. What WAS the best? And what will be the best in 2019? Cyber threats are growing not only in number but in strength. They can ultimately lead to you getting your entire identity stolen or bank account wiped out. There is only one foolproof way to keep threats away: by using the best protection software possible. It’s not just a PC for which you need protection, like in the old days. Any device that connects to the internet, whether it’s a smartphone, tablet, or smart home device, can potentially be hacked. Even your home or business router could get infected! Because of this, the best antivirus 2018 and beyond must offer protection for multiple devices in its subscription. Most of the leading companies offer a variety of plans that include yearly, two-year, or three-year subscriptions for protecting any number of devices, usually 1, 3, 5, and 10. If you only need an antivirus for yourself, 1 or 3 should be enough. If you want to protect your family, then you’ll likely need 3 – 5. Protection for 10 devices is usually ideal for large families and small businesses. Most antivirus programs are just that – antivirus programs. For additional security services, such as VPNs, password managers, firewalls, parental controls, and neutralization of threats that hold your files hostage or destroy them, there is a Deluxe or Premium Security solution, which obviously costs more. This doesn’t mean that you’ll need more than the antivirus itself. As long as you choose a good one, you can get all of the security features that a normal web / computer user needs. 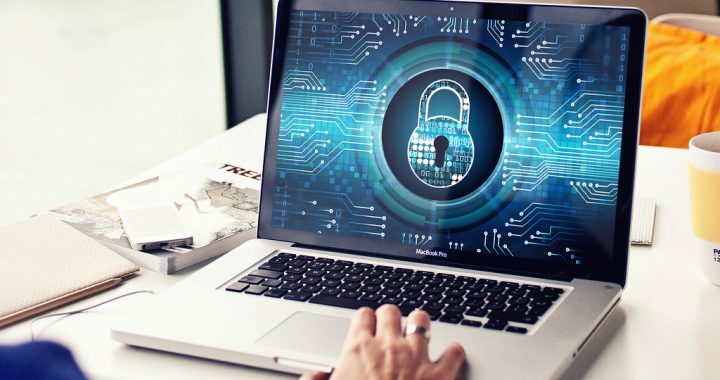 The best antivirus in 2018 – 2019 is one that offers the most features at a price anyone can afford. It should also have won awards and praise from independent testing labs. Check the score of the antivirus program you are interested in. There should be at least a 98% detection rate. Another thing to look for is a security company that has been around for a long time. Those that have been around for at least two decades are always worth considering. If they have been around for that long and are still putting out updated products every year that offer real-time protection, then they must be doing something right. So, what was the best antivirus 2018? What about 2019? Norton (by Symantec) Antivirus is considered by many to be the best. Choose Norton Antivirus Standard, Antivirus Plus, Norton Security Deluxe, and Premiere. There are subscription options that suit any type of user. Look over coupons for the best antivirus 2018. Norton Antivirus is also likely going to be the best antivirus in 2018 as Symantec has been consistently putting out great products every year for decades. Whichever subscription plan you are interested in, use Norton promo codes and apply them to your order. Kaspersky antivirus products are always worth using – especially for Windows users. Of course, it’s not limited to just Windows. There are subscription options that include usage on multiple devices, including Mac, Android, and iOS. Keep in mind this company has won more awards than just about any other cyber security company, so if you want to get excellent protection for your computer, this product is the best choice. There are tons of positive Kaspersky Antivirus for PC reviews from experts. It offers protection all types of viruses, dangerous apps, suspicious websites, phishing attempts, ransomware, and more. The security is designed to protect the computer without getting in the way. It works seamlessly and quietly in the background and receives automatic updates so that you’ll know your antivirus is being kept up to date at all times. There are different levels of protection to choose from: Basic, Internet Security, and Total Security. The free version of Kaspersky Antivirus for PC provides core protection, but nothing else. Internet Security includes all the tools required for preventing malicious attacks and for detecting malware behavior, as well as privacy tools to help you keep all of your online transactions and banking information secure. There is also an option to upgrade the antivirus by paying a one-year, two-year, or three-year fee to protect 3 – 5 PCs. This is a good option if you have a home network or small business you need to secure. It automatically scans your computer to find threats, including the new drive-by “crypto-mining” infections that could seriously damage the computer’s performance if you not handled properly. If your PC gets infected with this, Kaspersky’s technologies help to save and reset it. Another great thing about these products is that they are very easy to setup and manage. There is technical support for every type of user, including home PC users, small businesses, medium-large sized businesses, and enterprise-level businesses. You’ll be able to manage security from anywhere when you sign into your My Kaspersky account. If you have an older PC, read the system requirements to make sure you will be able to run the antivirus efficiently. All versions of Windows from Vista on up are support. It’s recommended that you have at least 2GB of RAM and 1GB of hard disk space. Kaspersky products are available for Mac users as well. Before choosing a subscription and upgrading, you can always try a free trial of Kaspersky Antivirus for PC. Coupons are available for when you do want to upgrade, and they help bring the price down considerably. There are new digital threats popping up every single day, so don’t put off on buying protection. You should be able to get it at an affordable price as long as you use Kaspersky Antivirus for PC promo codes. It’s time to start protecting your computer! Creators of malware and viruses are always trying to come up with new ways to gain access to others’ PCs and internet enabled devices. They do whatever they can do to get money from victims, whether it’s hacking into their checking account, stealing their credit card info, stealing their identities, ransomware, etc. This is why you need virus protection software for PC that offers comprehensive protection against all types of threats. The best security programs are able to keep up with all of the new and rising threats. It’s a race of sorts, so it’s in your best interest to purchase a software solution that includes daily, automatic updates. It should be able to keep up with all of the latest definitions of ransomware, phishing scams, and all types of malware and dangerous files. Opt for software that is powered by a global 24/7 threat monitoring network. Cyber criminals never, ever seem to stop, so neither should monitoring and protection networks. Another thing to look for is a program that offers seamless upgrade options. If you’re a regular PC user, you likely won’t need business-level protection. However, the option should still be there for you to purchase additional protection and security tools as your needs grow. Virus protection software for PC is usually available in various pricing and subscription options. Typically, the most basic version can be purchased for a single computer, whether it’s a PC or Mac. If you also want protection for your smartphone, tablet, laptop, etc. there should be a Premium or Premier Suite available with varying pricing options. Should You Consider Free Virus Protection Software for PC? What about free programs? While new versions of Windows do come with built-in security features, including a firewall, they do not offer enough protection for the average user. Free programs usually offer just the bare minimum of protection. This doesn’t mean you have to start spending money on virus protection software for PC, as there are usually free trials available offered by the biggest companies. Read reviews and try one out before deciding whether or not you want to purchase a license for the full version. If you do a lot of shopping online and pay bills, you’ll definitely need a security suite that offers financial security. There should be a feature that keeps your financial details protected and encrypted. User-friendliness is another important consideration. If you’re the type who prefers to be hands-on, then the ideal program will offer manual scanning and updating options. If you prefer applications to run quietly in the background, then its processes, including updates, should automate. Overall, out of all of the cyber protection companies, Norton is perhaps the most popular. It offers virus protection software for PC, Macs, Androids, iOS, etc… Choose Norton Antivirus Basic, Standard, Deluxe, and Premium. Save money by using Norton coupon codes. Look over all of its different virus and security products to determine which one best meets your needs. Norton definitely offers superior virus protection software for PC.